Can Probiotics Help Reduce Symptoms of Rosacea? By serving as a possible influence on the redness and skin thickening associated with rosacea, the recent, ‘gut-brain-skin axis’ theory may be beneficial to providing insight into future rosacea treatment. Researchers are currently looking into probiotics as a way to restore gut balance and reduce inflammation. The ‘gut-brain-skin axis’ theory is based on the idea that foods without fiber (which slow digestion) along with stress, can change the bacteria balance in our gut; the good bacteria is thus replaced with unhealthy bacteria. When this happens, toxins have the opportunity to be released in the bloodstream, which can cause inflammation throughout the body, including on the skin. Probiotics are live bacteria, sometimes called the “good” or “friendly” bacteria, that are beneficial to your health, particularly your digestive health. 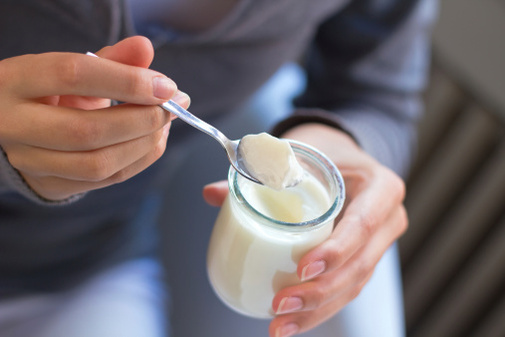 Taking probiotics, either through food or supplements, can help balance your “gut bacteria,” and decrease bad bacteria that can lead to infections and inflammations. When considering treatment or management options, Dr. Whitney Bowe from the American Academy of Dermatology recommends that patients with rosacea and acne talk to their doctor about adding probiotics to their diet – either through food or supplements. Research on this subject is still emerging, and though there haven’t yet been in-depth studies on how taking probiotics can improve rosacea, a small study in Italy showed promising results. Interfere with the overactive immune system response by disguising the skin cells from seeing the bad bacteria on the skin. Fight and kill the bad bacteria on the skin. In the coming months and years, the number of probiotic skin care products and cosmetics are likely to increase. There have even been anecdotal cases of people foregoing commercial products and applying unflavored Greek yogurt directly on their skin. Unlike cosmetics and skin care products - which go through safety testing - there have not been studies on the benefit of using yogurt as a skin mask. However, anecdotal reports indicate some people have noticed less rosacea flares and less severe outbreaks. Probiotic supplements are also available at your local pharmacy or grocery store. Obtaining general benefits from probiotics does not seem to matter whether you get probiotics from food or supplements. However, as with all supplements, it is best to talk to your doctor first.